This site is an ongoing work by Colin Mackellar as a tribute to the pioneering work of all who were involved with NASAs Honeysuckle Creek Tracking Station. 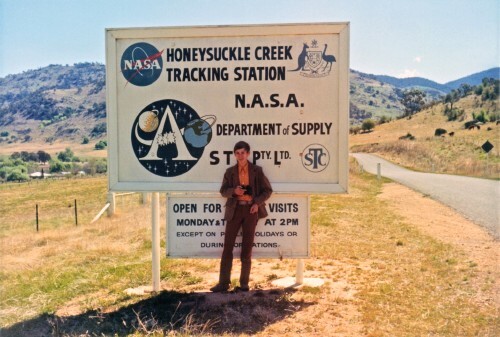 During the Apollo Program, both Honeysuckle Creek and Tidbinbilla were household names in Australia (as was the Parkes Radio Telescope) and I followed any media references to them closely. It is surprising that there is not more information readily available about Honeysuckle (other than the tremendous resources of Hamish Lindsays book and Mike Dinn and John Saxons websites). 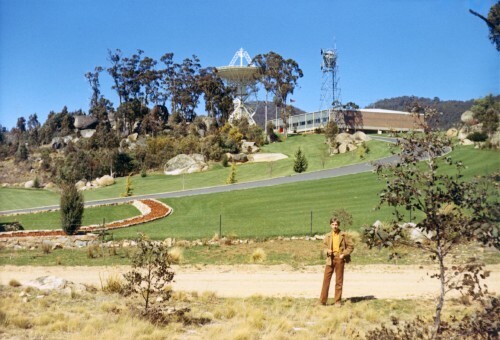 For that matter, there is very little on the Internet about Tidbinbilla, Goldstone or Madrid from the Apollo days. This website is the beginning of an attempt to help correct that. 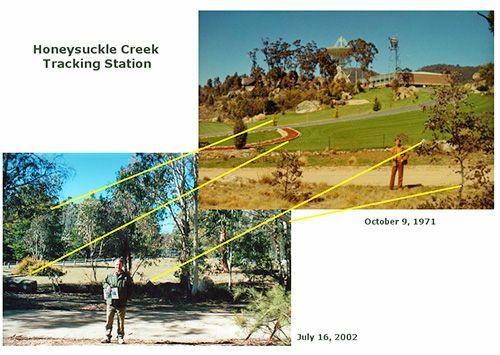 I am also very grateful to many people – including many Honeysuckle Creek space trackers who have sent me a great deal of other material and given encouragement. 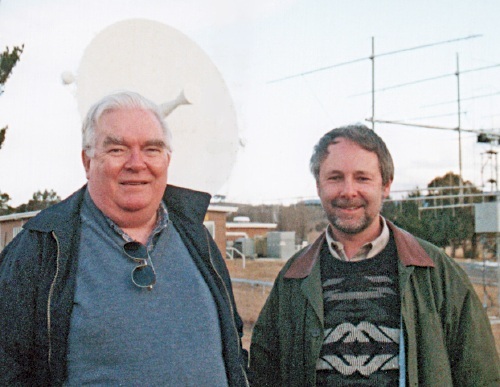 Mike Dinn and Colin Mackellar at Tidbinbilla, July 2002. DSS-46 (the former Honeysuckle antenna) is in the background. 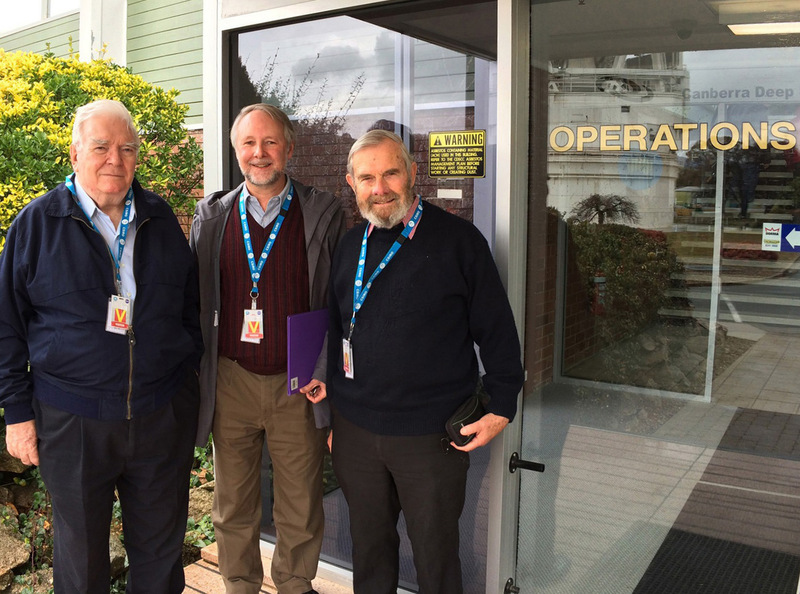 Mike Dinn, Colin Mackellar and Hamish Lindsay at Tidbinbilla, 22 July 2015. Mike Dinn and Colin Mackellar in the brand new Tidbinbilla Operations Room, 27 September 2017. Invitation to contribute / Appeal for help! 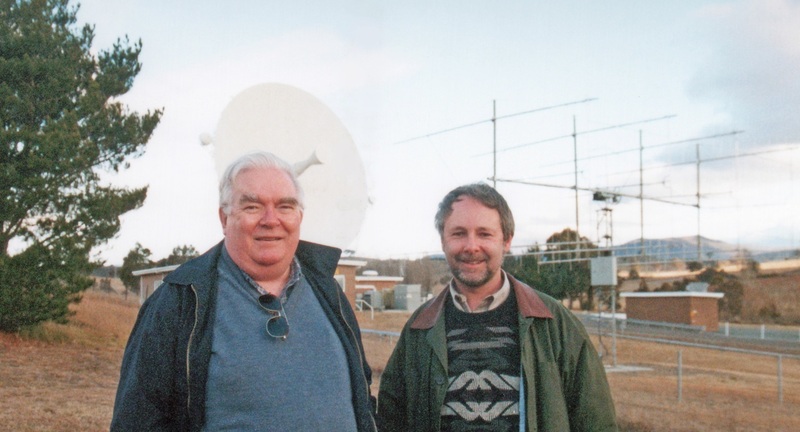 I’m also very glad to hear from anyone who worked at other MSFN, DSN and STADAN stations. I have larger versions of many of the photos on the web site  feel free to ask. I was born in Sydney and have lived here most of my life. My father and grandfather introduced me to amateur astronomy and I have continued that interest, even though living in light-polluted Sydney. 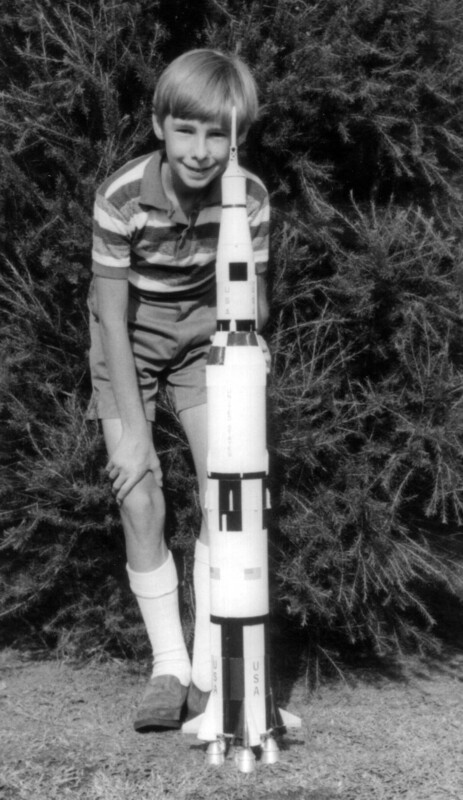 During the Gemini and Apollo missions I became closely interested in manned space exploration  and first learned of Honeysuckle in, I guess, 1968. Me with the 1/96th scale Revell Saturn V model in 1969. I studied Geology and Geophysics at University in the 1970s  in the hope that lots of geologists would be needed for interpreting the results of planetary exploration. It seemed like a good idea at the time! I also remember ringing Honeysuckle in 1976, when the station was supporting Viking 1  and spoke with several members of the team, who very kindly took the time to explain what was happening. 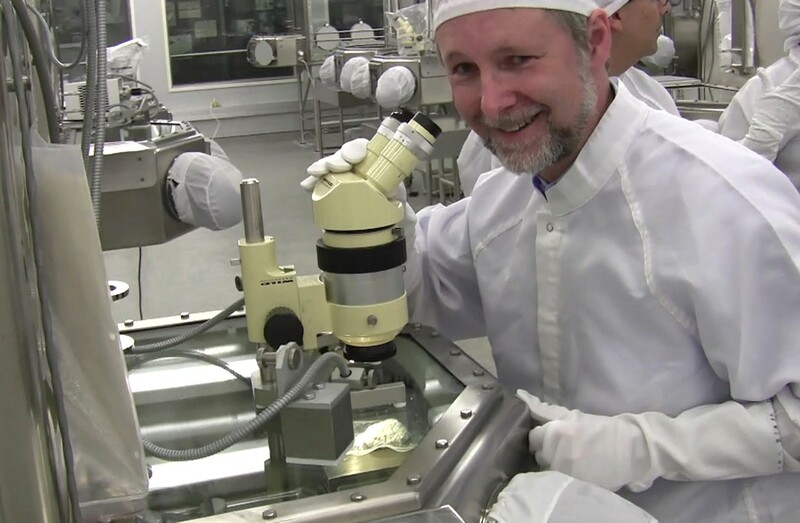 Looking at a portion of the celebrated Apollo 15 sample 15415 (dubbed “The Genesis Rock”) in the Pristine Sample Laboratory of the Lunar Curatorial Facility at the Johnson Space Center in Houston. This piece of anorthosite crystallised around 4.09 billion years ago. After working in exploration Geology (terrestrial only!) for a while, I turned to study Theology at Moore College in Sydney and was ordained into the Christian ministry in 1986. Im currently privileged to be the Minister at an Anglican church in Western Sydney. (If youd like to read one of my sermons with references to Honeysuckle in it, theres one here from 2002  a 100kb PDF. Im married to Janelle and we have three children. In the 2019 Australia Day Honours list, I was surprised and honoured to receive a Medal of the Order of Australia (OAM) in the General Division, “for service to community history” (meaning, mainly, this website and related activities, including participation in the Apollo 11 Telemetry Tape search). I’m very grateful to those who worked for that. I hope that our space trackers will see this award as a recognition of their pioneering work as well! Id be surprised if there arent many mistakes on this site. Please tell me about them so I can get it right. And if I have used any of your material and havent attributed correctly, please tell me so I can fix it. on 9th October 1971. 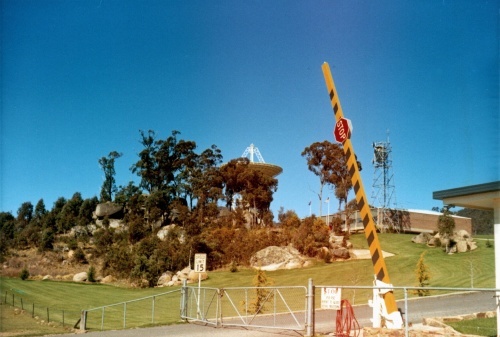 The main gate is to the left, and the road behind me is the track to the coll. tower. This is a new scan for the 40th anniversary of the photo being taken. Large (1.1MB), larger (3.4 MB), largest (11MB). Thats me  at the sign at the beginning of what is now called Apollo Road, leading up to Honeysuckle Creek  in October 1971. I didnt expect to be let in the front gate  and I wasnt. There was nobody on the gate that day!  in 1971 and 2002. (and the elevation of the photographer is slightly different).